On a recent trip to South Africa, global CEO of Yum! 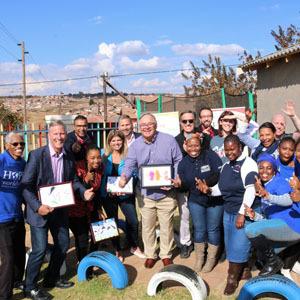 Brands, Greg Creed, visited HOPE worldwide’s Hulani Day Care Centre in Cosmo City, Johannesburg. HOPE worldwide is one of the 138 beneficiary organisations that KFC’s Add Hope initiative supports around the country. The visit shows just how important the KFC feeding scheme, which combines KFC’s Corporate Social Responsibility funds with R2 donations from customers, is to the international parent company. HOPE worldwide focuses on investing in young children through Early Childhood Development (ECD) Centre support, Community ECD Parenting programmes, Nutritional Support and through their ‘Adopt a Family’ programme. 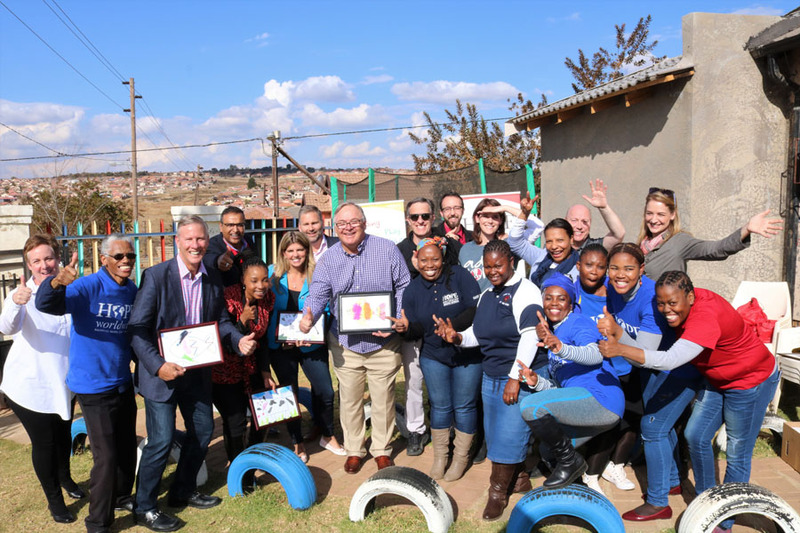 Hulani Day Care Centre is one of 200 ECD centres across the country under the wing of HOPE worldwide and currently cares for 96 children between the ages of 1 – 6 years from Cosmo City and the surrounding areas.